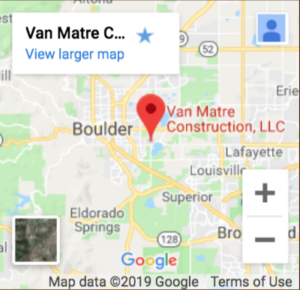 We highly recommend Van Matre Construction for custom home construction or a high end remodel. Brady Van Matre and his team at Van Matre Construction built a custom house for our family in 2008 and 2009. The team did an excellent job keeping the project on schedule. Staying focused on attention to minor details makes the house very functional and livable. Brady is always welcome to show our home to prospective clients. I highly recommend Brady Van Matre and Van Matre Construction for any level of construction or renovation/remodeling you may have in mind. We first used Van Matre Construction to renovate a former bicycle/ski shop into our veterinary clinic. 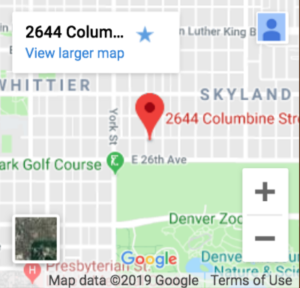 We got bids from other contractors for our renovation just to be thorough but we were the most impressed with Van Matre’s pricing and the level of detail outlined in their bid. We were so pleased with Van Matre’s job with our veterinary clinic, their subcontractors, and the fact they take genuine pride in the quality of the work they do, that a couple years later we also retained them to remodel the kitchen and a large portion of the living area in our home. We have been delighted with the process and the results of both these projects. Our veterinary clinic, as well as the kitchen and living area of our home look amazing. We were absolutely delighted that the remodels stayed on schedule and within our budgets, especially since both renovation/remodels took demolition down to the studs and put it all back together again with new plumbing, electrical, etc. We really appreciated how Van Matre worked with us along the way to incorporate changes we wanted and how hard they worked towards keeping these projects on schedule and ‘WITHIN OUR BUDGET’. We have worked with Brady and his talented crew on two remodel projects and are planning for a third early next year. They have delivered on time and on budget. We have had the good fortune to have Tim Moore as the project lead. He is conscientious and stays in communication through all aspects of the project. I have recommended Van Matre Construction to friends and will continue to do so. I was thrilled with the level of knowledge and professionalism. Let us know if you’re looking for a specific reference. We can gladly show you our past projects, and the range of work we can do. Call us or fill out our contact form today.